Gabriel S. Galanda and Anthony S. Broadman are excited to announce that they have opened a new Galanda Broadman, PLLC, office in Bend, Oregon. Anthony, who is licensed to practice law in Oregon, will manage the firm's new satellite office. 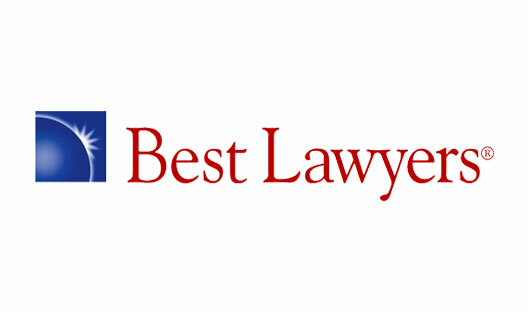 Galanda Broadman recently received a prestigious Tier 1 ranking in the 2013 Edition of U.S. News - Best Lawyers “Best Law Firms,” in the arena of Native American Law. Galanda Broadman, PLLC, “An Indian Country Law Firm,” is dedicated to advancing tribal legal rights and Indian business interests. The firm, which is headquartered in Seattle, Washington, represents tribal governments, businesses and members in critical litigation, business and regulatory matters, especially in matters of Indian Treaty rights, tribal sovereignty and taxation. Gabe is an enrolled member of the Round Valley Indian Tribes of California. He currently sits on the National Native American Bar Association (NNABA) Board of Directors, chairing the group’s “Include Indian Law on State Bar Exams” Initiative, and co-chairing its “Increase Natives and Tribal Court Judges in the Judiciary” Initiative. Gabe is a past President of the Northwest Indian Bar Association and past Chair of the Washington State Bar Association (WSBA) Indian Law Section. Gabe has been named to The Best Lawyers in America in the practice areas of both Gaming Law and Native American Law, from 2007 to 2013. Anthony is the immediate past Chair of the WSBA Administrative Law Section, and author of “Administrative Law in Washington Indian Country.” He is a former Trustee of the WSBA Indian Law Section, and also serves as Editor-in-Chief of the Section’s Indian Law Newsletter. Anthony has been named a Rising Star by Washington Law & Politics-Super Lawyers magazine. Newer PostNorthwest Tribal Law Firm Galanda Broadman Named to "Best Boutiques"